This is the Latest TWRP Recovery for ASUS Zenfone 5 and Zenfone 6. TWRP Recovery has a great feature like fast and stable if we compare with Old Phiz/TWRP Recovery. This is very helpful tool to backup a stock ROM and easily restore by One-Click. You need to unlock bootloader on your Zenfone device in order to able to introduce TWRP Recovery. If you are already unlocked your bootloader go to the next step. Otherwise, you can check out our Tutorial about How To Unlock Bootloader. This method tested with Lollipop update and I am not sure it will be working with Kitkat version. And This tutorial voids your warrant term and condition. Do it with your own risk I am not responsible for any damage or bricked device. Download Intel USB Drivers from the end of the post and Install it on your PC. Extract Fastboot Tool zip file on your desktop using WinRAR tool. Copy TWRP-2870_Zenfone5.img and paste into extract fastboot tool folder. Now, Boot into bootloader by using the Power button + Volume Up. Once the bootloader Open, Connect device with PC using Data cable. 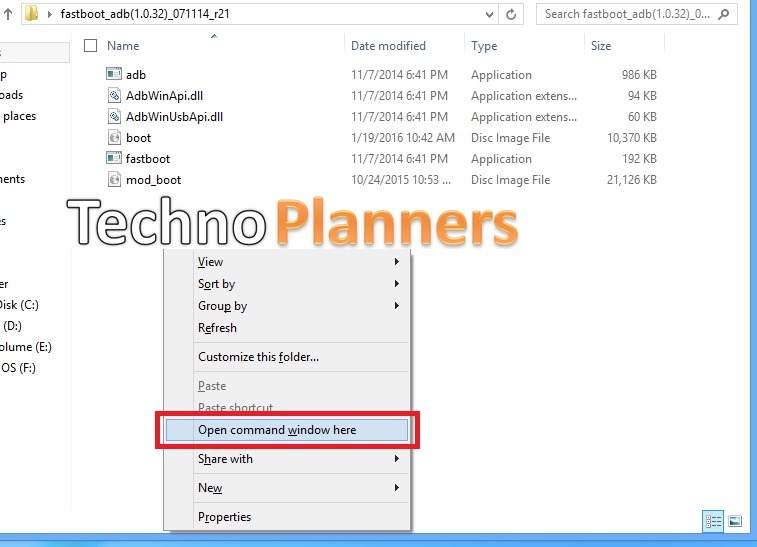 From fastboot tool folder Open Commend Windows by using (Hold Shift Key and right click of mouse). Type below CMD In Commend Prompt Window. Then press Vol down button until Reboot recovery shows up and press power 1 time to boot into recovery. It should be booted into TWRP Recovery. Copy twrpzf6.img and paste into extract fastboot tool folder. 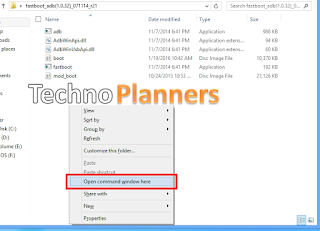 From fastboot tool folder Open Commend Windows by using (Hold Shift Key and Press right click of mouse). Now, Type below CMD In Commend Prompt Window. Don't turn off your device manually. It will automatically reboot. Once it's done. You can open Recovery by pressing the power button + volume down. Congratulation, Now you can use TWRP Recovery 2.8.7.0 in orange interface for ASUS Zenfone 5 and Zenfone 6. If you have any question or inquiry about this, please drop your comment below. Please Share this Tutorial on your social media profile. It helps us to grow. Also check out list of Custom ROMs for Zenfone. Thank you. How much time it will take for automatic boot? hello I really enjoy reading and also appreciate your work.Uniform Store.